A few years ago, the dynamics of the Grace Linn kids changed. The group got together and renamed "Sunday School" to "The God Squad." 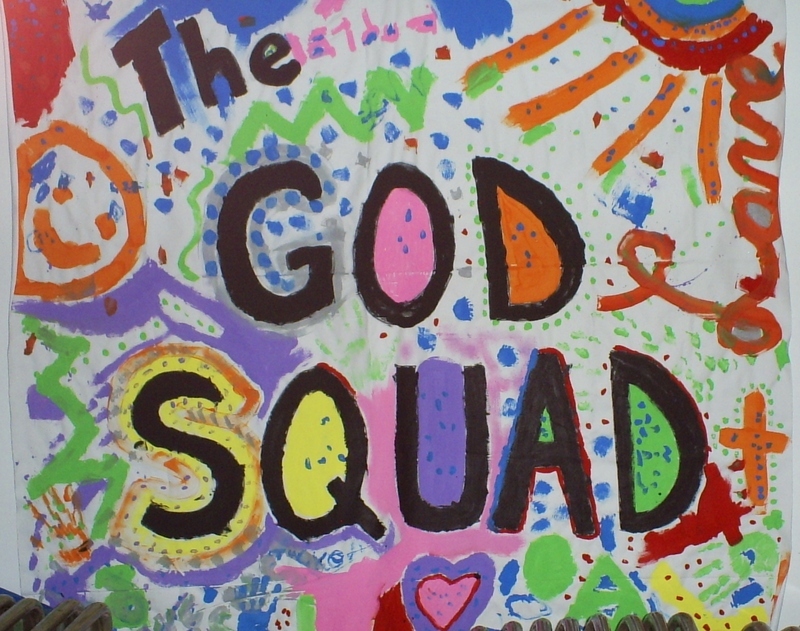 God Squad is for everyone; pre-kindergarten to high school and meets during the school year. We learn about God, mission work, and have fun! On Sunday, May 24th, we ended the God Squad season with a mission trip to the Hartland Food Cupboard. For the past few months, we've been collecting donations of non-perishable foods. God Squad delivered the items to the cupboard. We unloaded the car and stocked the shelves. Afterward, we had a pizza party. Our kids love working with puppets! 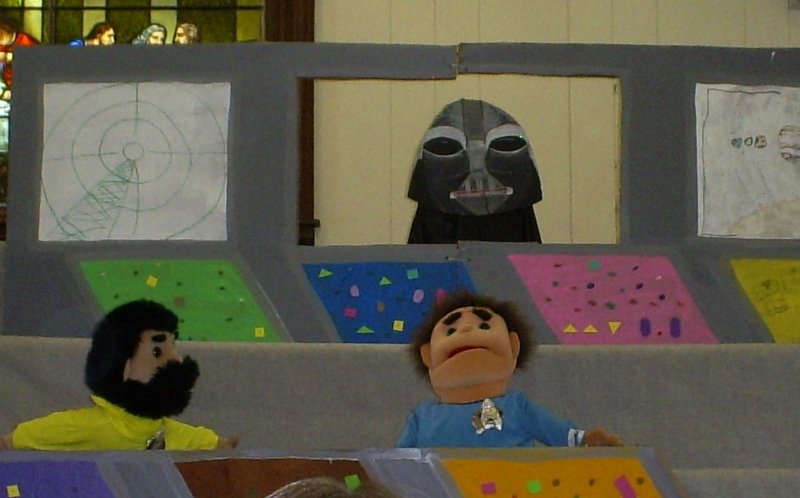 The older God Squad kids ended their season with a puppet show. We learned how much God loves us and wants us to do unto others. 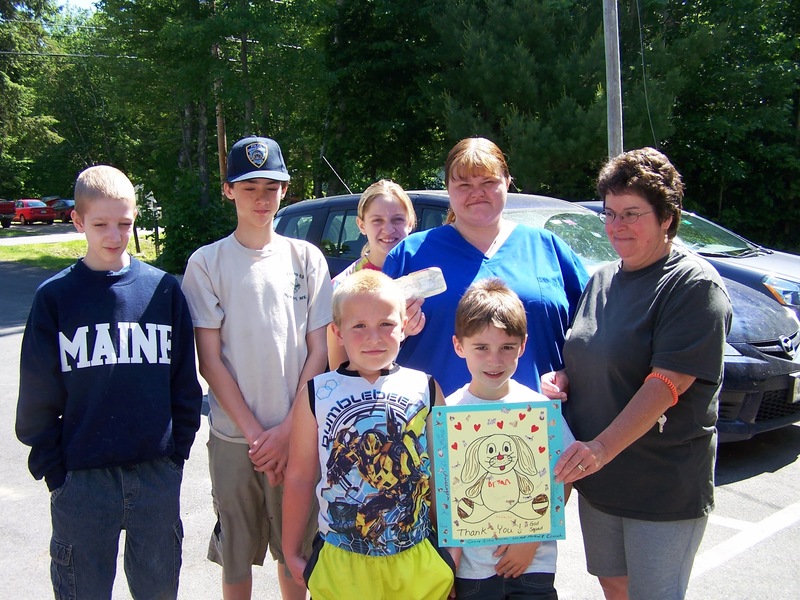 On Thursday, June 20, 2013, the God Squad was welcomed at the Somerset County Animal Shelter in Skowhegan. 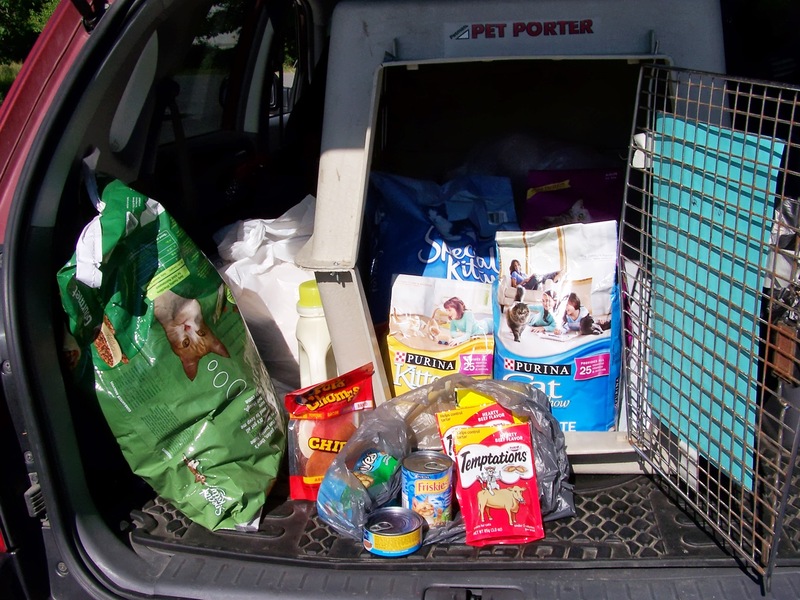 For the past 6 months, we collected supplies for the shelter and 13 of us arrived with the car full of supplies (food, towels, litter, soaps, medicines, etc..) that can be readily used for the care of those animals being treated. A hearty welcome was extended, a great tour, and we had plenty of time to play with and get to know the variety of animals. A card was brought along with the signatures of God Squad members who weren't able to make the trip. Of course, nothing makes an ending to an outing better than to stop for pizza on the way home which is how our adventure played out.